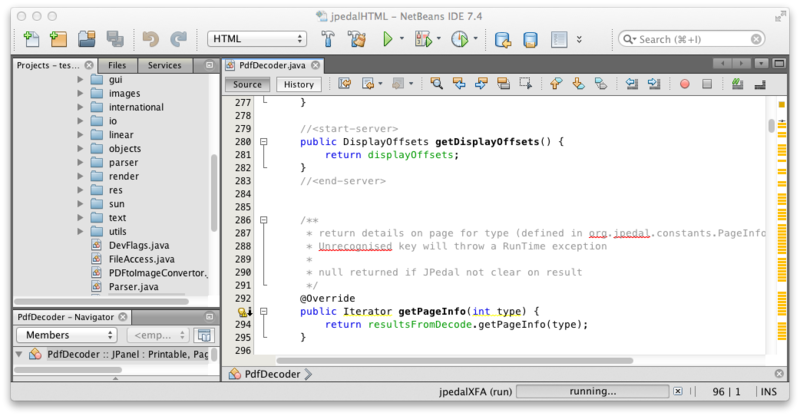 Mark Stephens: My Five Favorite NetBeans IDE Features! 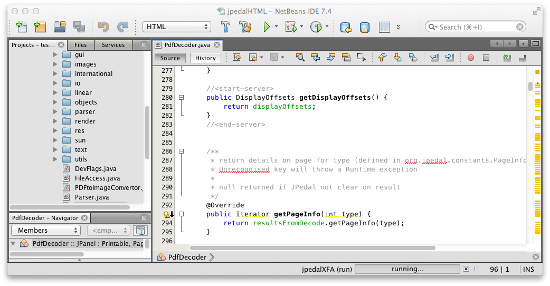 Continuing a series of articles focusing on NetBeans users and their five favorite NetBeans IDE features, here's the next part, by Mark Stephens. 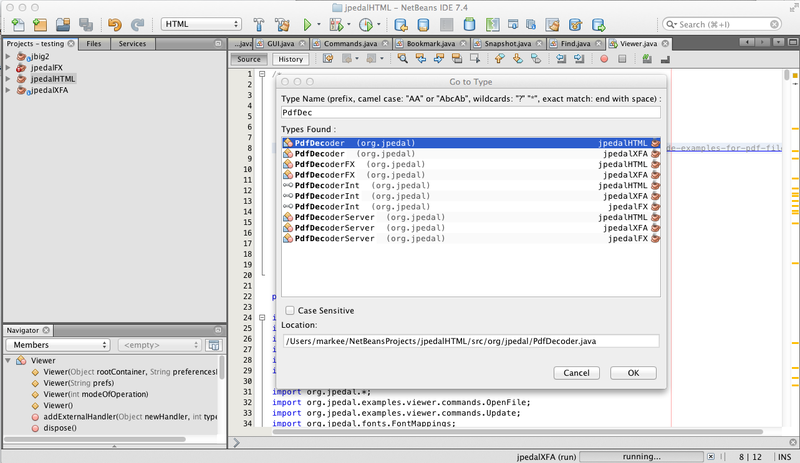 -- NetBeans team. Mark Stephens is the Systems architect at IDRsolutions, where extensive use is made of NetBeans IDE in the development of the IDRsolutions Java PDF library and PDF to HTML5 and SVG converters. 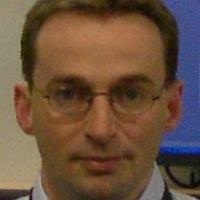 He also writes regularly on PDF, Java, HTML5, NetBeans IDE and lots of other topics on the Java PDF blog. 1. Mercurial. The support for Mercurial is first-rate. I have added the commands as shortcuts on my toolbar so I can easily review and submit changes. It will even spot if I copy a class and show me the changes with the copied file on first commit. That is pretty neat! 2. Multiple projects. 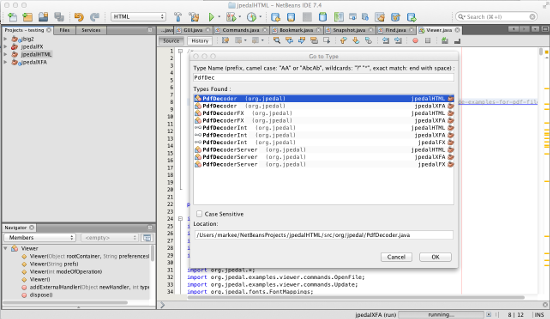 NetBeans IDE makes it very easy to work with multiple projects. I am usually working on several tasks in tandem. 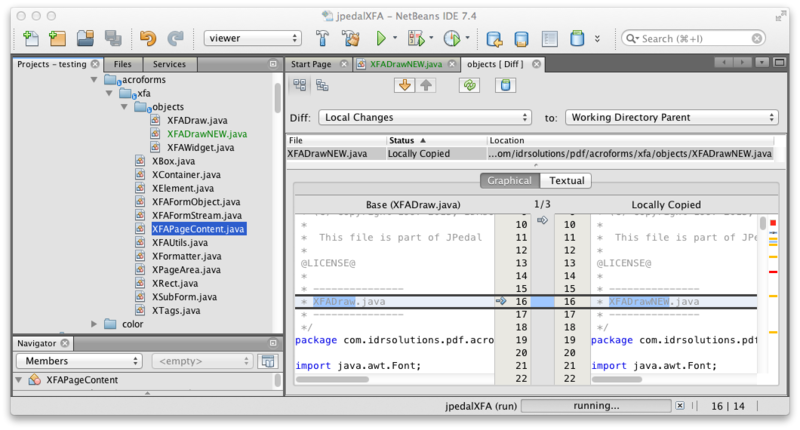 At the moment, I am working on our new JavaFX PDF Viewer, helping debug the XFA forms support, and taking general support questions on PDF to HTML5 conversion. And then I can get interrupted and have to handle an urgent support request. Each can have its own self-contained project. 3. Context. All the IDE commands use the selected context. So if I am in a file and use Diff, I will see the file changes. If, instead, I select the project, I will see the project changes. What I see is always related to what I am doing. I could carry on but I am only "allowed" 5 items... I am always learning cool new features, so if you think I have missed one, please comment on my post below!